There are many different racing games today, and each one has its advantages. But we can say almost for sure that one of the most beautiful-looking titles in this genre is Project CARS created by Slightly Mad Studios. And its new trailer only proves this fact. Do you want to watch? 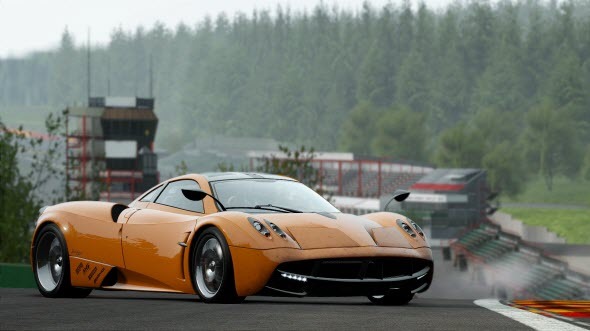 Project CARS game was under development for PC, Wii U, SteamOS, current and next generations of consoles, but then the developers decided that it's too good for Xbox 360 and PS3 and cancelled these versions. According to the latest information the game will be released only next fall and only for PC, Wii U, SteamOS, Xbox One and PS4. One of the most amazing things that Project CARS game has is its graphics that actually shows us how the next generation in the gaming industry has to look like. The newly published fan-made Project CARS trailer gives you a glimpse of the project and lets see the beauty of its graphics. Seeing is believing, so watch, enjoy and comment this video at the bottom of the page. By the way, if you haven't decided for which platform you are going to buy this game, our Xbox One vs. PS4 review may help you to understand.